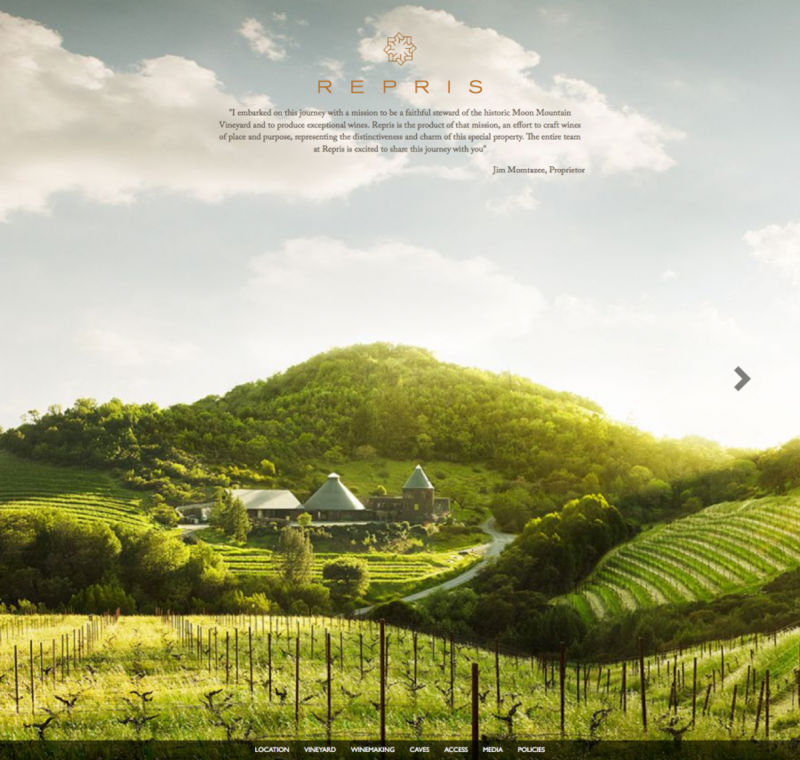 Repris may be the best Sonoma winery nobody’s ever heard of. To say the place is low-key would be an understatement. Should you visit their website you’ll notice nary a bottle. There is no storefront, no invitation to visit, there isn’t even a shot of the owner or the winemaker. What exactly is going on here? It’s a tease, really. A way to give folks a taste of what’s going on at this magical, beautiful property at the end of Moon Mountain road. Speaking of magical, we had the great good fortune to work with a supremely talented photographer whose work drove the site’s design. Welcome to Narnia.